The melon (Cucumis melo) is a herbaceous monoecious plant with creeping stems. It is cultivated for its fruit, a pepónide berry of summery season with a great content of water and of sweet flavor. The melon was already cultivated in Ancient Egypt during the third millennium BC, and its cultivation extends over most continents. It is a native of Iran, Anatolia and the Caucasus, with a secondary center in northwestern India and Afghanistan. 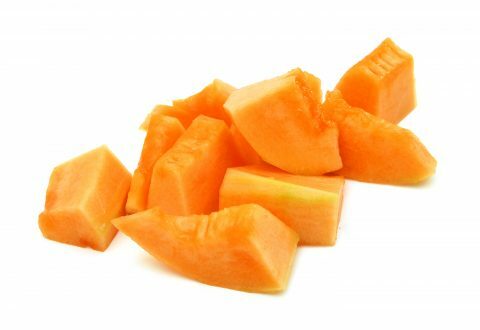 The melon has a high content of vitamin A (68% VID) and vitamin C (61% VID).